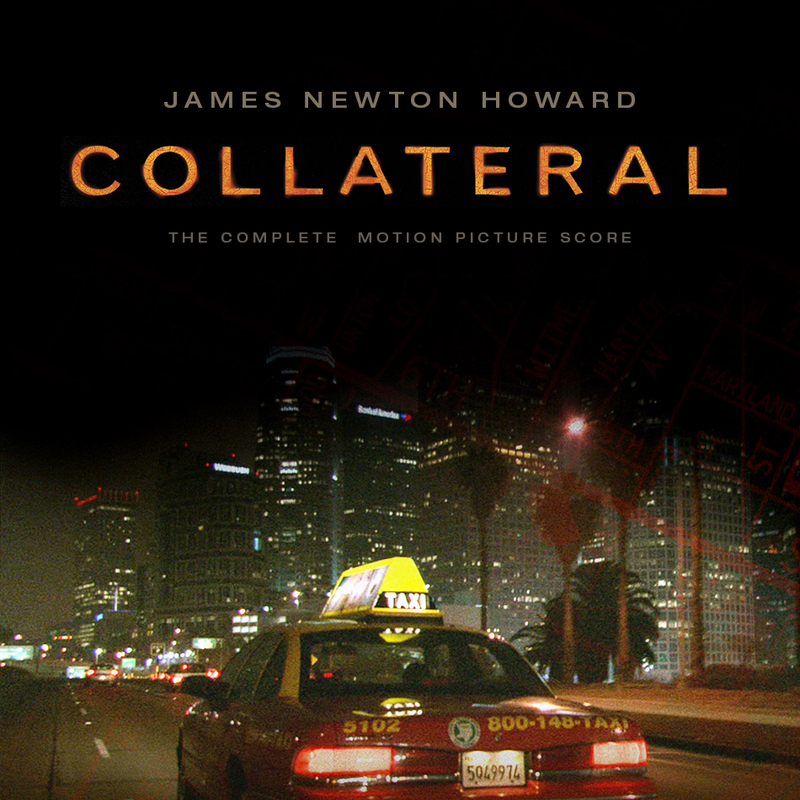 Michael Mann’s Collateral is a troubled rag rug of a score, with composer’s duties allegedly split up among nine different people. While James Newton Howard has been the one to walk away with the official credit, Brazilian film score composer Antonio Pinto and also musician/producer Tom Rothrock contributed easily as many musical cues as Howard. However, with the recent release of a Special Collection by Intrada’s this matter has been ended once and for all and Collateral is now officially being considered a James Newton Howard score. Despite that circumstance I’ve decided to keep my custom covers (#2, #3) fairly nonspecific. So no matter what release you call your own, be it the excellent 2004 compilation published by Hip-O Records (#1), or James Newton Howard’s complete score or even the ultra rare promo album from Antonio Pinto, you can now have your own cover art for each one of those.